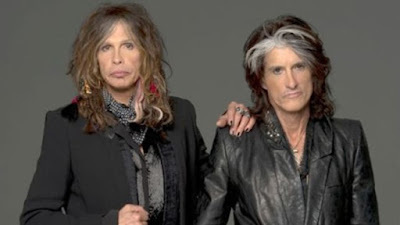 MetalRockNews: Aerosmith's Joe Perry: "A farewell tour is definitely not confirmed"
Aerosmith's Joe Perry: "A farewell tour is definitely not confirmed"
Aerosmith's Joe Perry was recently interviewed by Rolling Stone, you can read some excerpts below. About the probably farewell tour in 2017, he said: "A farewell tour is something we've talked about doing for years, let's say roughly in the last five years. It's just something the band's talked about at various times. At this point, the five of us have never sat down and said, 'It's time to do it.' So 'considering' is an appropriate word for that statement. A farewell tour is definitely not confirmed."